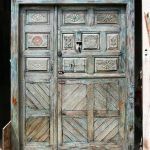 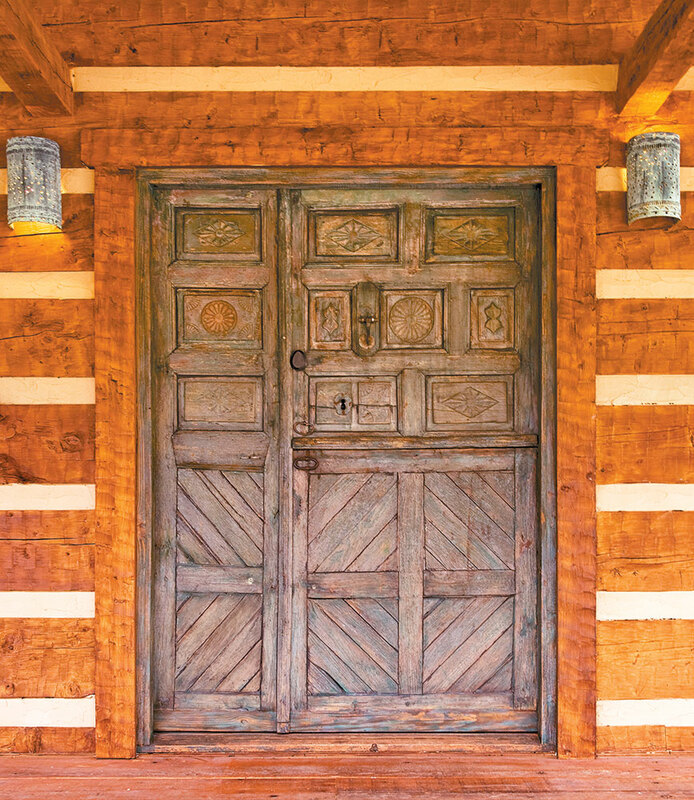 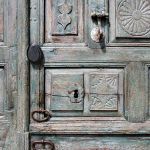 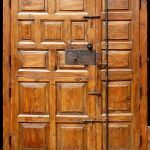 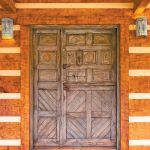 An antique gate from India was refurbished, reinforced and framed to become a Dutch door and the front entry of a cabin. 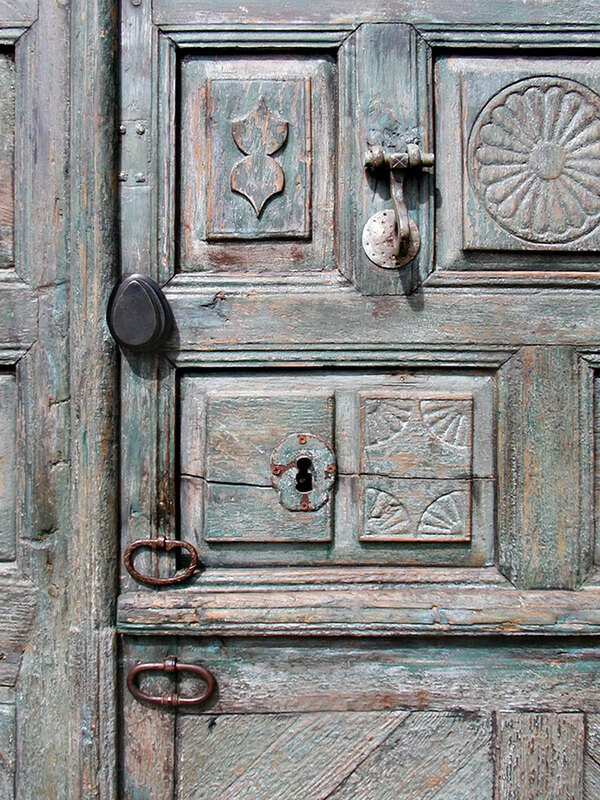 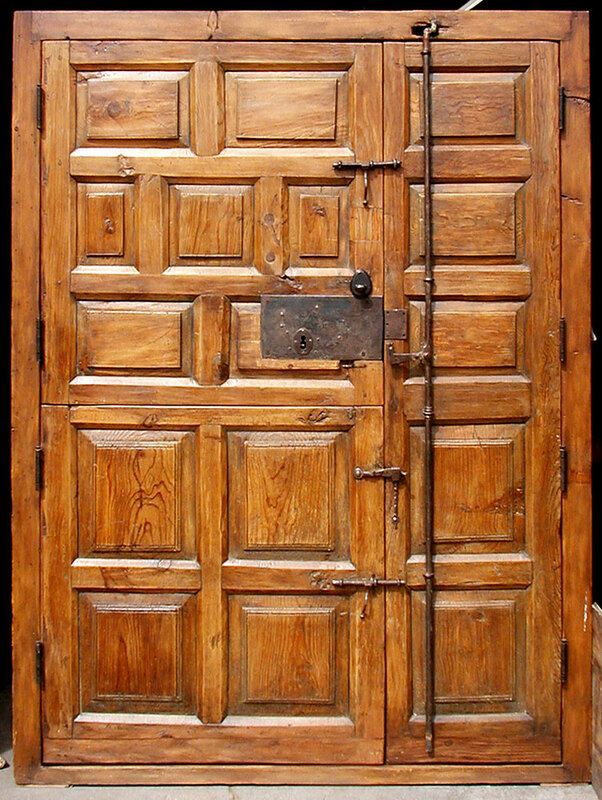 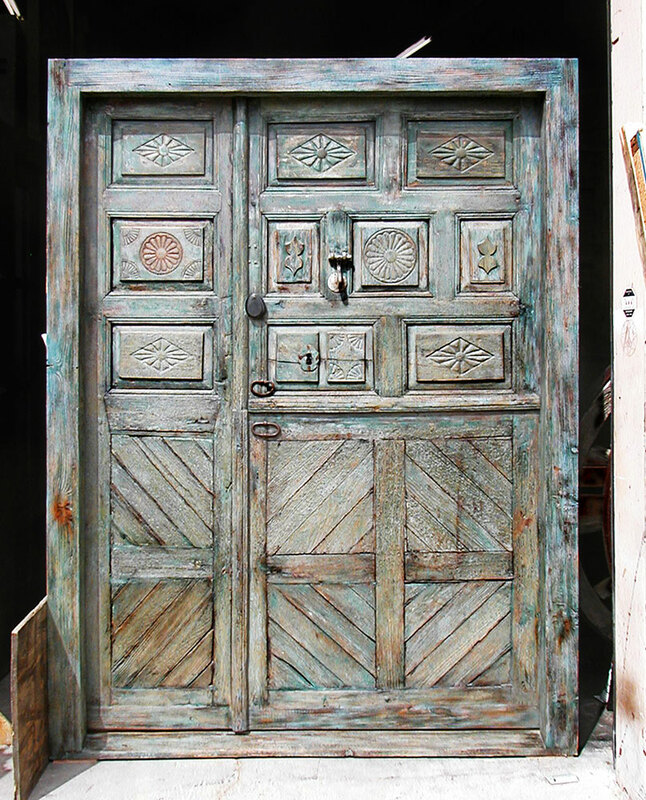 It features the original antique hardware & a new cast bronze deadbolt with teardrop flap. 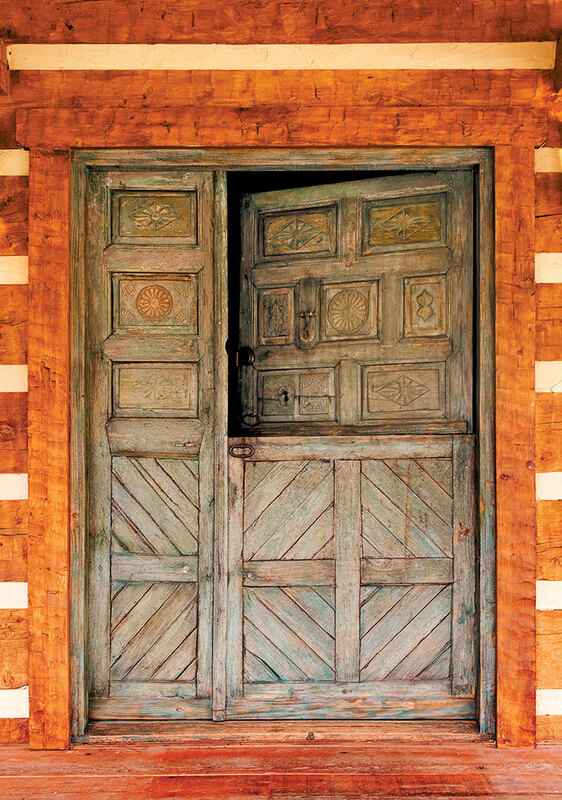 Additional photos include the front and back of the door after it was completed, as well as other details.